MyNatural LED Classic Collection Traditional wallpack in bronze color, has voltage rating of 120 - 277-Volts. It supports mounting on pole with size ranging from 15 - 30 ft. This 90-Watt LED lamp has color rendering index of 80, color temperature of 5000K and delivers brightness of 6550 Lumens. It features rugged cast aluminum housing with excellent thermal design. It measures 18.5-Inch x 9.25-Inch x 9-Inch. Long life LED chip keeps LEDs safe for longer duration. 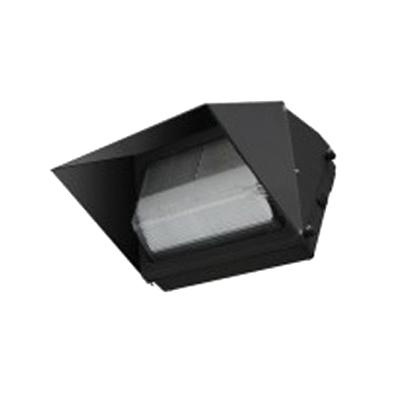 This IP65 rated wallpack comes with 0 - 10-Volts dimming control. It delivers uniform and consistent color. Shatter-resistant glass offers better protection to LEDs. It is perfect for outdoor applications such as carports, loading areas, driveways, parking area and pathways. Wallpack is suitable for wall mounting above 4-ft from ground. Wallpack is DesignLights Consortium certified, cULus listed and RoHS compliant.